The European Union has restored sanctions on an Iranian bank and 32 shipping companies on Wednesday, days after an agreement on Tehran’s nuclear program was reached, according to the EU’s Official Journal. The move comes despite Europe’s second-highest court order to end the asset freeze on Iranian institutions in January when it found fault with the legal grounds given by the EU. However, the EU relisted Iran’s Bank Tejarat and 32 Iranian shipping firms using new legal grounds, a statement said Wednesday. All those listed are regarded by EU as involved in nuclear or ballistic missile activities and providing support to the Government of Iran. However, eight firms were not put back on the list. The regulation should come into force on the date of publication, the statement said. In its reasons for restoring the asset freeze on Bank Tejarat, the EU said that the bank “provided significant support to the Government of Iran by offering financial resources and financing services for oil and gas development projects.” It also added that Bank Tejarat could be identified as being involved in the “procurement of prohibited goods and technology.” The listed shipping firms are owned by Islamic Republic of Iran Shipping Lines (IRISL), which was previously put under sanctions. Bank Tejarat is the third-largest bank in Iran and has offices in the UK, Germany and France. The bank's assets in these countries have been frozen as part of the sanctions. Millions of US dollars spent to manufacture the chemical concentrate of natural uranium passed through Bank Tejarat in 2011, according to the EU. The European Union’s measures signal that it will keep up sanctions pressure on Iran until a final nuclear deal scheduled for June 30 is sealed. Last week in Switzerland, Iran and the international powers reached an agreement in the long-running dispute over Tehran’s nuclear program. Iran and six world powers signed a framework deal to restrict the country’s nuclear program in return for lifting the economic blockade imposed by the UN. Under the deal Tehran is obliged to refrain from creating nuclear weapons. Tehran insists that it’s not pursuing a nuclear capability, but some nations have accused it of having a clandestine military nuclear program. Several rounds of sanctions in recent years have targeted Iran's key energy and financial sectors, crippling its economy. 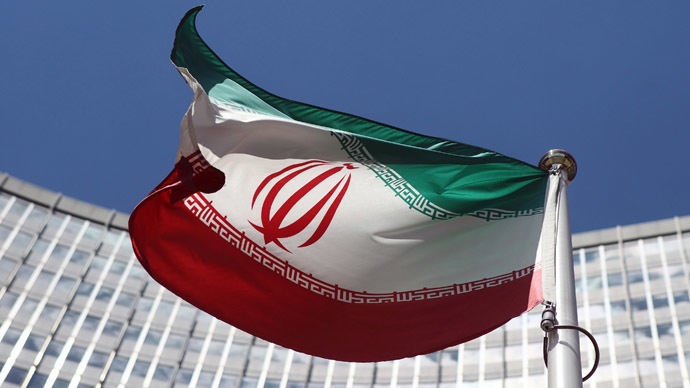 The US and EU imposed sanctions on Iran’s oil and financial sectors to prevent other countries from purchasing Iranian oil and conducting transactions with the Central Bank of Iran, at the beginning of 2012. Later, EU foreign ministers reached an agreement on another round of sanctions against Iran.